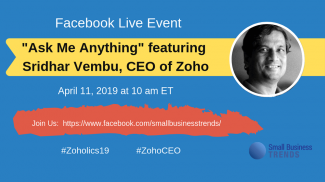 Trending: WordPress LinkedIn Zoho Corporation "What Is"
Applying for an award or contest can bring your business added recognition and publicity. Awards also fire up your employees! 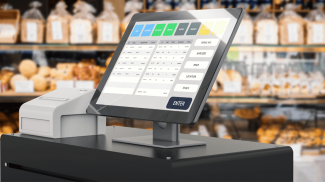 Customers pay attention to awards, too. Two lucky business owners will win a 1-hour phone consultation with either Marsha or John. Ask your burning business questions, get expert advice, and discuss your management strategies with online sales and marketing gurus. Dell has launched a $100 million Innovators Credit Fund, with the purpose of helping entrepreneurs “maximize potential for innovation, speed to market and job creation.” The credit fund will offer both funding and technology resources with IT support, depending on what each start-up needs. To be eligible, you must have already received some angel funding or venture capital before you can apply. Start-ups can get up to 10% of its current funding or up to $150,000 with limited credit terms. See website for details and application. Enter Staples’ Design Your Dream Office Sweepstakes on Facebook and you could win $5,000 worth of your dream Staples products, plus a $500 shopping spree at Staples. 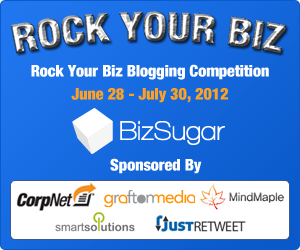 Join BizSugar.com for the Rock Your Biz Blogging Competition through July 30, 2012, to learn some great tips on how to take your business to the next level with online networking, blogging, or social media. Gain exposure for your company and a chance to win some cool prizes including an iPad3 from Grafton Media, incorporation or LLC filings from Corpnet.com, mind mapping subscriptions from MindMaple, Amazon gift cards, and credits from JustRetweet. To enter, simply write and publish a blog post on your blog, sharing tips or advice on how to use online networking, blogging, or social media in a small business. Then submit it for voting at BizSugar under the “Rock Your Biz” category. The 2012 “Start Small, Go Big” contest, sponsored for the third year in a row by Ink(SM) from Chase, includes mentors from some of the biggest names in fashion, home, beauty and food including Rebecca Minkoff, Jonathan Adler, Lauren Moffatt, Christiane Lemieux of DwellStudio, Lev Glazman & Alina Roytberg of Fresh, Alison Pincus and Susan Feldman of One Kings Lane, and more. Categories for entry include Fashion, Home, Food & Drink, Health & Beauty, and Digital & Tech. See website for entry details. To celebrate the launch of high-tech recruitment company TeleworkingExpatsForHire.com, business owners can win the services of a teleworking office assistant for two months worth $4,800. The Accelerate Michigan Innovation Competition is an annual international business plan competition in Michigan. The event is the world’s largest business plan competition with more than $1 million in prizes. The goals of the competition are to promote Michigan as a venue for innovation and opportunity and stimulate job creation. American Airlines Flights. Camera. Action. Upload a short video telling how the connections you make through travel help your business soar – and you might win up to 80 round-trip tickets for your company and exposure to thousands of potential customers. Submit your pitch on video, telling about your product or service, your marketing plans, your customer base. Tell what makes your business different — why it is one to watch? Do you need capital? If so, how much and what for? Most important, how are you going to make money? All video pitches that meet the submission guidelines will be featured on The New York Times small-business Facebook page and selected pitches will be featured on the New York Times You’re the Boss Blog. After hosting the successful 5th Annual PITCH 2012 in the Silicon Valley, Women 2.0 is excited to launch the inaugural PITCH NYC Conference & Competition 2012 (PITCH NYC 2012). Open to early-stage high-growth ventures around the world, PITCH NYC 2012 invites companies with at least one female in the founding team to apply. Applying companies must be in beta stage and have received less than a million in funding. They are looking for the most disruptive web/mobile ventures, connected device companies, double and triple bottom line ventures, etc. Prizes include $25k cash, services and more. The 2012-2013 MillerCoors Urban Entrepreneurs Series (MUES) business plan competition is now open and accepting entries. Since 1999, MillerCoors has invested more than $1.7 million in the dreams of entrepreneurs. This year brings new opportunities for entrepreneurs like you. Enter your business plan for a chance to vie for a $50,000 business grant and potentially become a MillerCoors supplier. ?Do you have a great idea for an Infusionsoft App, integration or plug-in that will enhance the Infusionsoft user experience? Then you have a shot at being crowned the Kick Apps Champion in the Battle of the Apps 2013. First prize is $10,000. See website for details. The list of awards and competitions is brought to you by Small Business Trends and Smallbiztechnology.com. To find more small business events, contests and awards, visit our Small Business Events Calendar. If you are putting on a small business contest, award or competition, and want to get the word out to the community, please submit it through our Small Business Event and Contests Form (it’s free). Please note: The descriptions provided here are for convenience only and are NOT the official rules. ALWAYS read official rules carefully at the site holding the competition, contest or award. Laura Leites plans and manages events for clients through her company, L2 Event Production. Laura's projects include the Small Business Influencer Awards, The Small Business Summit, and many of SmallBizTechnology's live and virtual events, including the five-city Small Business Technology Tour.